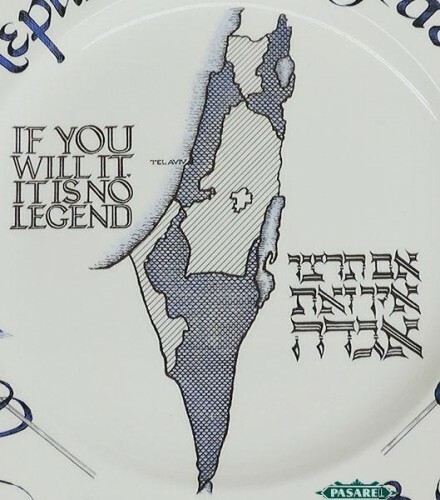 Centered with the map of Israel sided by the famous phrase by Dr. Theodor Herzl – “If You Will It Is No Legend” (both Hebrew and English). 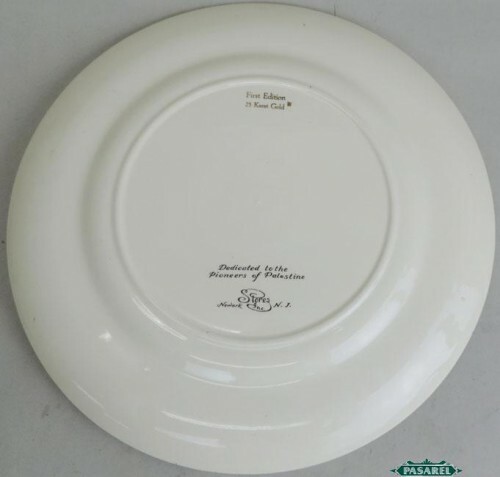 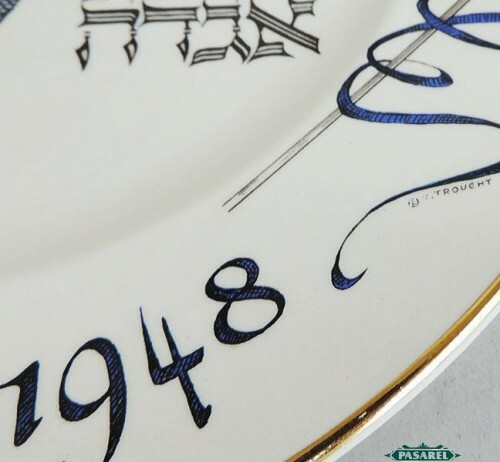 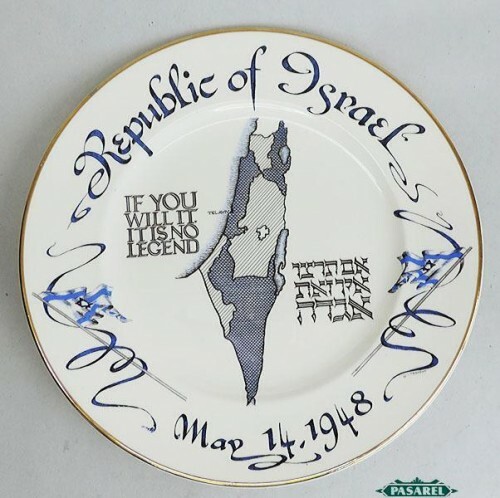 The wide rim is inscribed “Republic of Israel” adorned with Israel flag and dated “May 14, 1948″. Diameter – 27.5cm / 10.8oz.